A healthy nose provides protection for your entire body. Regardless of the season, your age or where you live, your body has to fight off all kinds of external aggressions. The nasal mucosa is a natural barrier that helps fight against infectious agents (bacteria, viruses, pollution...). Mucus and the impurities that it absorbs can stop it from working properly, leading to superinfection of the ENT (ear, nose & throat). It is important to adopt a good nasal hygiene routine starting at a very young age, just as important as proper dental hygiene and personal hygiene. 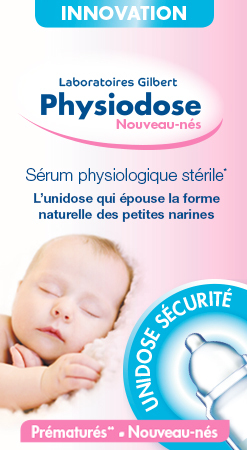 Physiodose offer a range of products specifically designed for nasal hygiene in adults and in babies. Physiodose is the number-1 selling saline solution in pharmacies.